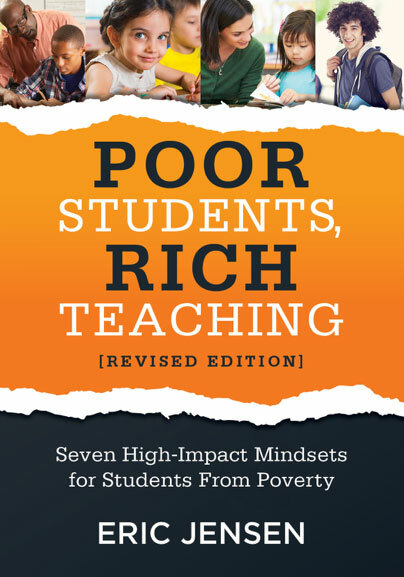 This fresh new book solves two important problems for every educator. First, it connects mindsets (of the teacher, not the student) to their teaching. This is powerful because highly effective teachers (those with more than one year of academic gains in a calendar year) will consistently outperform peers (those with the ineffective mindsets). Second, it is the compilation of TWO books, so the book is strategy-packed and highly relevant for those who grow up in poverty. You will get every critical issue addressed with tools you can use the very next day. 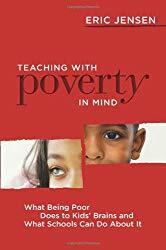 As you read this powerful book on poverty, you’ll learn many of the common issues that the poor face. They include chronic stress (which is why I have mind-bending chapters on optimism, relationships, hope, freedom, autonomy and choice). Finally, many poor deal with emotional issues that can be paralyzing. Emotions can be taught; learn which ones are hard-wired in our DNA and which ones should be taught every day. That’s why you’ll see chapters on changing the emotional set point (which has tools to reduce the adverse emotional states). Get instant motivation and engagement with nearly EVERY student! YES, the book is more expensive than many others. YES, it is the compilation and “Best of” two previous books of mine. YES, it is the equivalent of getting TWO books at once. Build effective teacher-student relationships, and help students see college and career readiness as a reachable target. Part Three: Why the Positivity Mindset? Part Four: Why the Rich Classroom Climate Mindset? Part Five: Why the Enrichment Mindset? Part Six: Why the Engagement Mindset? Part Seven: Why the Graduation Mindset? It is a rich, treasure trove of insights, hacks and solutions to the implementation of the work in a teacher’s daily classroom. 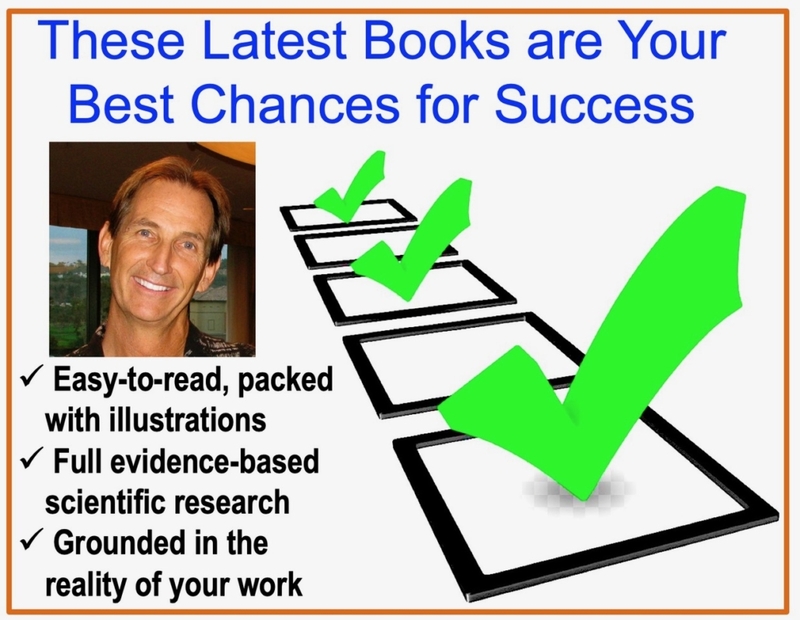 You get countless free, downloadable reproducibles, plus ideas for book studies and short, valuable and relevant assignments that make the magic happen. 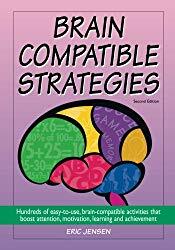 Teachers love to have a companion for supporting their ideas and strategies and this new book partner is just what the “Learning doctor” prescribes. Buy these two books together and get ready for some results that get everyone excited and motivated to go the extra step. 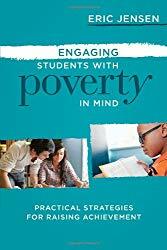 Renowned educator and learning expert Eric Jensen digs deeper into engagement as the key factor in the academic success of economically disadvantaged students. Too many of our most vulnerable students are tuning out and dropping out because of our failure to engage them. It’s time to set the bar higher. Until we make school the best part of every student’s day, we will struggle with attendance, achievement, and graduation rates. This timely resource will help you take immediate action to revitalize and enrich your practice so that all your students may thrive in school and beyond. 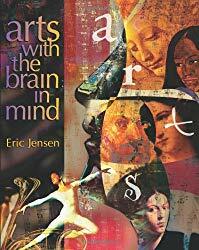 Jensen argues that although chronic exposure to poverty can result in detrimental changes to the brain, the brain’s very ability to adapt from experience means that poor children can also experience emotional, social, and academic success. 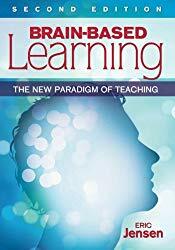 This completely revised and updated ASCD best-seller is loaded with ideas for how to improve student achievement and create a more effective classroom by applying brain research to your teaching. 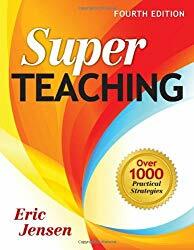 Renowned author and educator Eric Jensen translates the latest scientific findings into effective instructional strategies, including: Why to start every class with opening activities that put students into receptive states. How to tempt students to focus more attention on learning tasks. Why to use compelling questions, personal stories, controversies, and celebrations in your teaching. How seating, room temperature, lighting, and noise affect learning. Why making your classroom a more positive social experience improves achievement. The achievement gap is widening and more teens than ever are struggling in school. The latest research shows not only that brains can change, but that teachers and other providers have the power to boost students’ effort, focus, attitude, and even IQs. 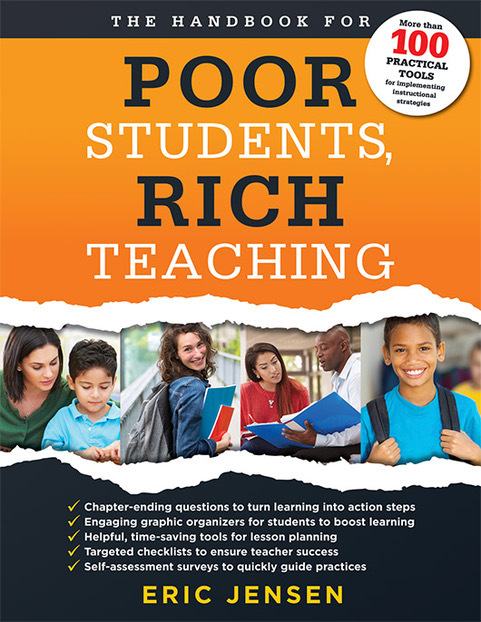 In this book bestselling author Eric Jensen and co-author Carole Snider offer teacher-friendly strategies to ensure that all students graduate, become lifelong learners, and ultimately be successful in school and life. 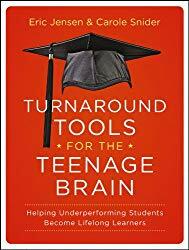 Drawing on cutting-edge science, this breakthrough book reveals core tools to increase student effort, build attitudes, and improve behaviors. Adopt a teaching approach aligned with the brain′s natural way of learning! Harness the transformative power of brain-based learning! Form and model strong relationships with students. 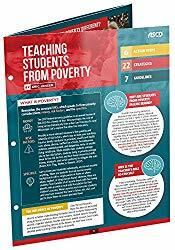 Whether your students are elementary, middle, or high school age, you’ll find strategies in this guide that will help you better understand and respond to the differing needs of this population. 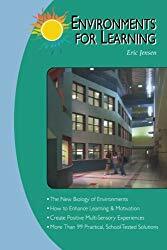 This book is packed with easy-to-use strategies and cutting-edge research to help you use ergonomics, lighting, temperature, color, and other factors to boost learning and student success. 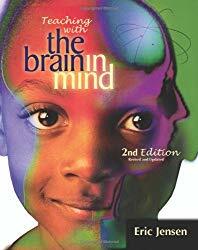 Explains how to use musical, visual, and kinesthetic arts to enhance brain development, develop thinking skills, and make classrooms more positive and inclusive.